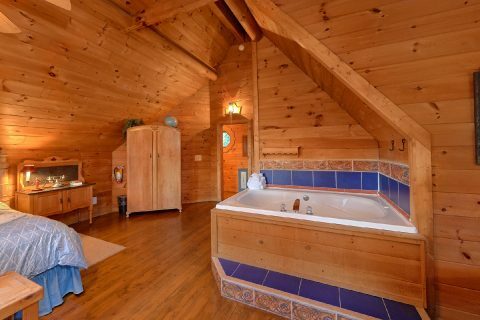 Located just outside of Pigeon Forge in the Lantern Hill Resort area, this lovely log cabin is ideal for couples! 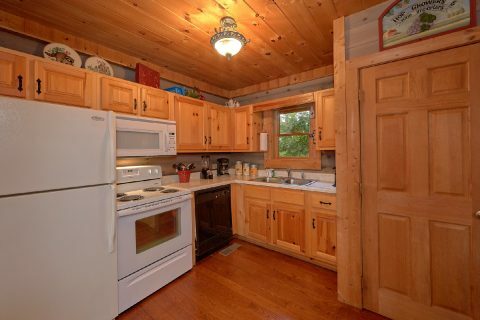 "Merry Weather" is an affordable 1 bedroom cabin that sleeps up to 4 guests in comfort, so it's just the right size for you and your sweetheart. 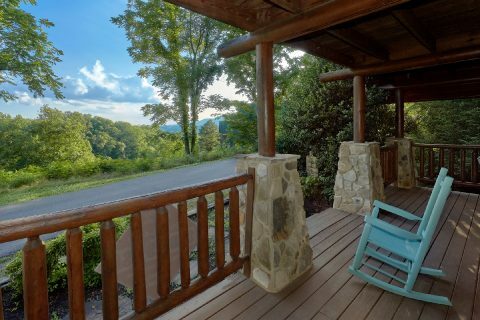 Better yet, with a great location that's only minutes away from Downtown Pigeon Forge, you'll have no trouble finding excellent things to see and do during your vacation in the Smokies. 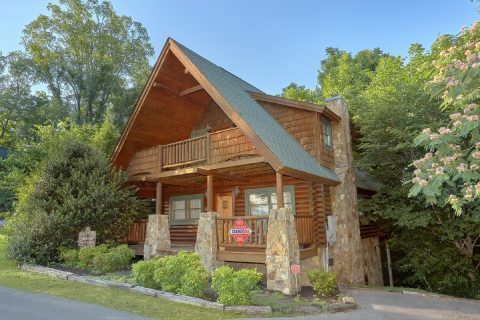 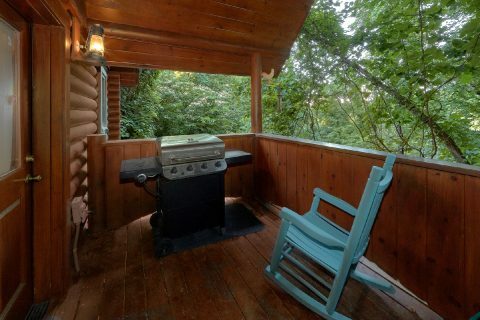 Whether you want to explore Dollywood Theme Park or see the famous hiking trails of the Great Smoky Mountains National Park, you'll love staying at a cabin that's only a short drive away from all the action. 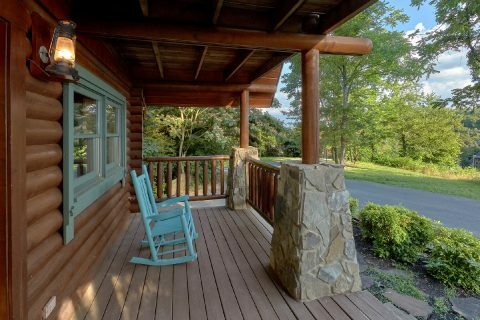 Once you retire to your cozy resort cabin with stylish stone accents, you'll be glad you reserved such a charming cabin for your stay. 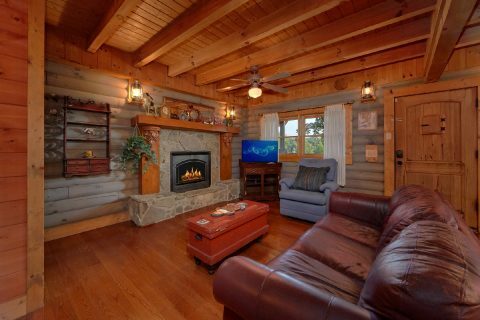 This cabin's main living area is perfect for enjoying a nice movie night since it offers comfortable furnishings and a warm, gas fireplace to snuggle by. 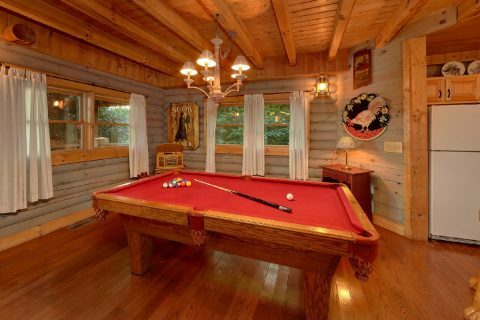 In the nearby billiard room, you can always enjoy some friendly competition on the pool table. 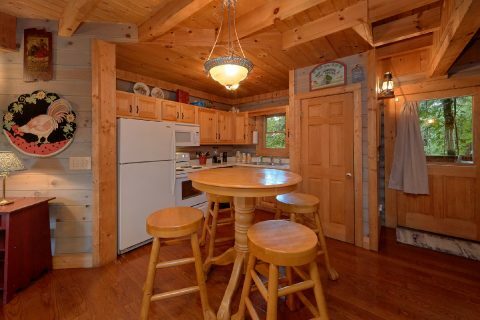 Your cabin's fully-equipped kitchen and dining area give you everything you need to enjoy a romantic dinner at home in the comfort of your cabin. 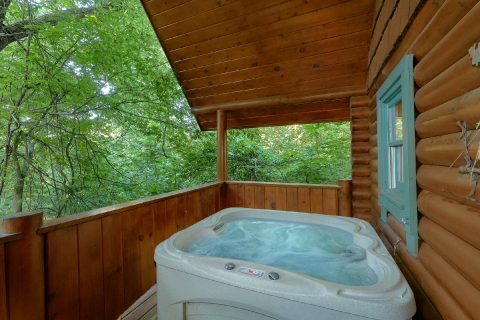 After a nice evening, you'll love stepping out to the back deck to take a soothing dip in the warm waters of the hot tub. 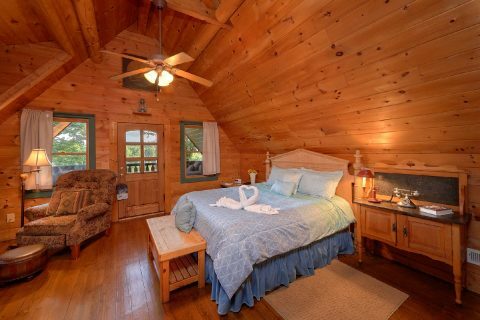 For staying well-rested on your trip, you can head upstairs to the king-size bedroom in the upstairs loft that boasts a full bathroom, a jacuzzi, and a small balcony for enjoying the fresh mountain air. 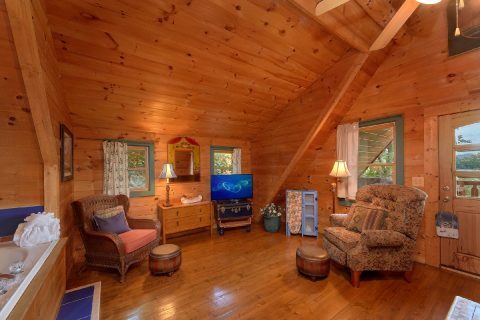 With a sleeper sofa in the living room area, this cabin can easily accommodate up to 4 guests in comfort. 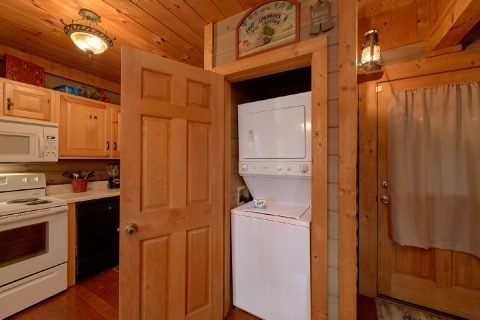 Additionally, "Merry Weather" provides useful features like WiFi Internet, a gas grill, and a washer/dryer to make your stay simple and carefree. 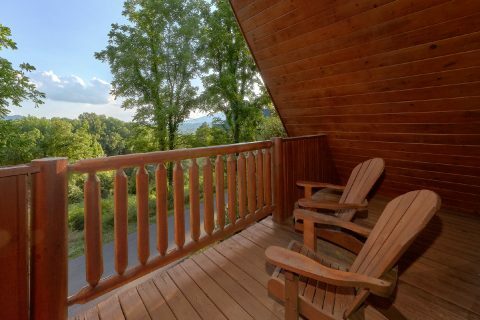 Book "Merry Weather" online today with Cabins USA Gatlinburg and you'll save 15% on your nightly rate in the Great Smoky Mountains of Tennessee!